Our family loves to camp but having kids and camping is tough. If you’ve ever been camping with kids you know exactly what I mean. You have to plan for the best but expect the worst which means overpacking for essentials so you’re not stuck in the middle of the mountains when your child needs something. Sure, roasting marshmallows for S’mores or even hot dogs over the fire are a given but those can get old fast. With my kids being picky, we have to be strategic with what food items we pack and take with us camping. If you’ve got a picky eater too, you’ll love these kid-friendly camping meals. 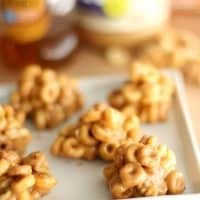 They are tasty, inexpensive, and easy to pack. 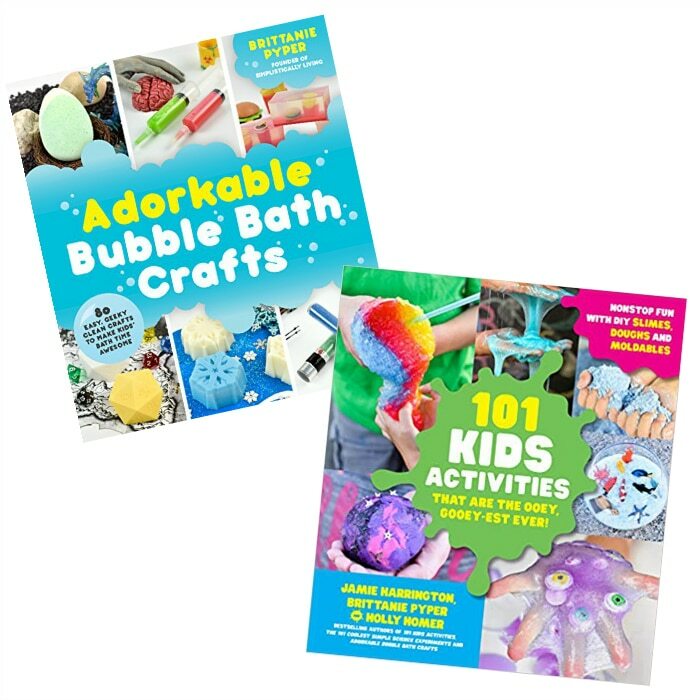 A total win in any parent’s book! 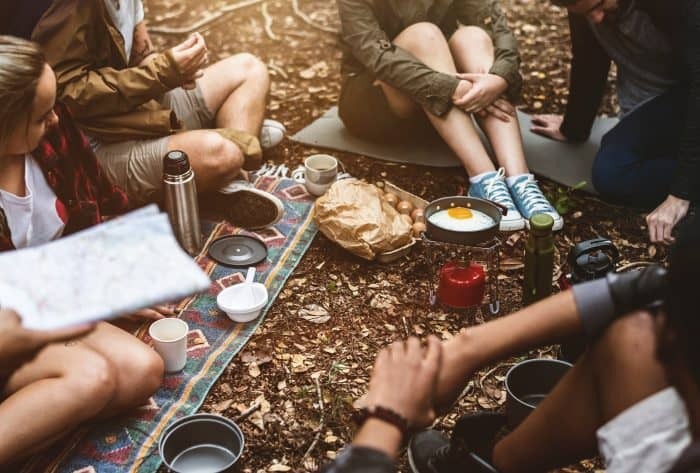 The best breakfast camping recipes and meals for kids. These just require milk and eggs! They cook perfect over a fire too! Fresh fruit, some pancake mix and some breakfast sausage is all this recipe takes. 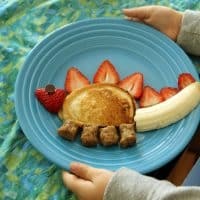 It's a fun breakfast idea for kids and one our boys love! 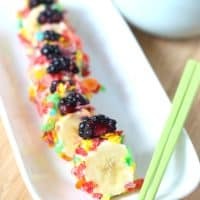 You would never think of having sushi in the woods but this sushi combines bananas, fruity pebbles, and fresh blackberries to create a fun and colorful breakfast for kids. Another great recipe for using those fruity pebbles is this parfait. Yogurt and Fruit pebbles is all you need to pack! Easy peasy! These would be something to make ahead and put into a bag. 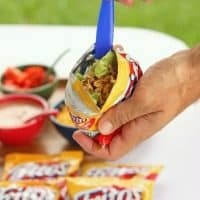 Best part is, they'd be a super simple instant breakfast while camping. These would be so simple to put together while camping. 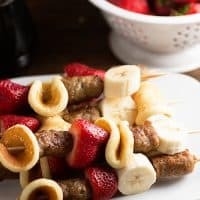 A grill or skillet over the fire could cook the sausage and mini pancakes then just add some fruit! 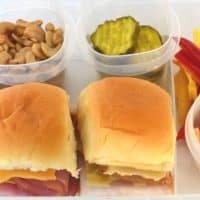 Lunch Camping Meals and Recipes for Kids. Even the pickiest of eaters will love these! 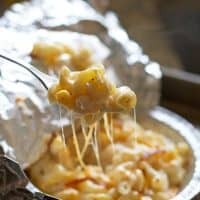 Prepare these mac and cheese cups at home and cook them over the fire while camping! So simple and kids love helping roll these! 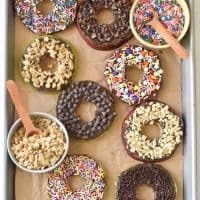 These are simple make while camping and require only a few ingredients! 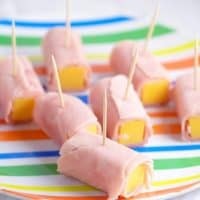 Ham and Cheese Roll Ups - Snack Idea for Kids! Super easy to pack string cheese, meat and toothpicks to make these. 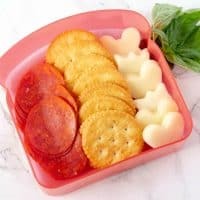 Forget the lunchables with tons of sodium, and make your own! Easy to make and even easier to travel with! 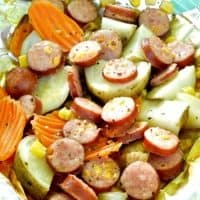 Dinner Meals and Recipes for Camping with kids. These are best made around an open fire while camping and enjoying the outdoors as a family. 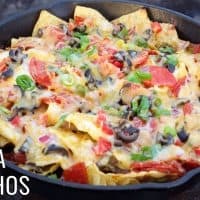 It's a cross between nachos and pizza. It can't get any better than this. 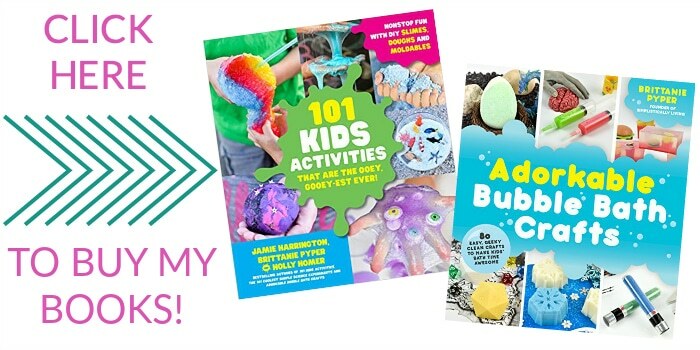 These are so easy to make and easy to clean up too! 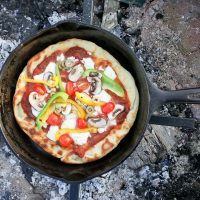 You may not be able to order pizza while camping but you can sure make your own! You literally throw everything into the foil and cook it over the fire! 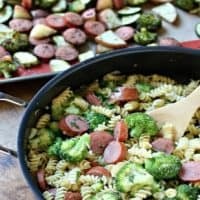 Take your cast iron skillet and turn it into a pan that can make an entire meal for the family! Snacks while camping are the best thing ever. Kids can grab them and go and it makes feeding them super easy. 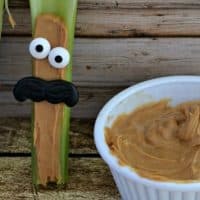 These are the best snack ideas for camping with kids. Apples, celery, peanut butter and some licorice (or raisins) is all you need to make these! 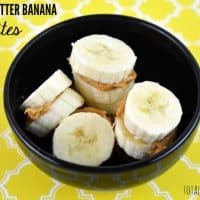 Banana peanut butter bites are the perfect go to snack. 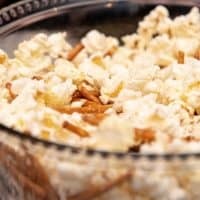 So easy - make popcorn over the fire and add some pretzels, then you have a tasty snack mix! 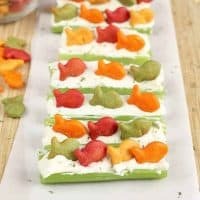 Again with the celery, but this time add cream cheese and goldfish. By the way, Goldfish are the perfect snack by themselves. 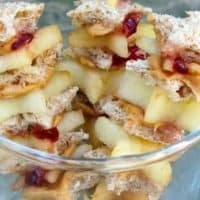 Apples and toppings make for an easy and tasty snack! As you can see from the lists, you can strategically plan for the meals. You’ll mostly want a variety of meats, cheeses, fruits and vegetables to make most of these meals. 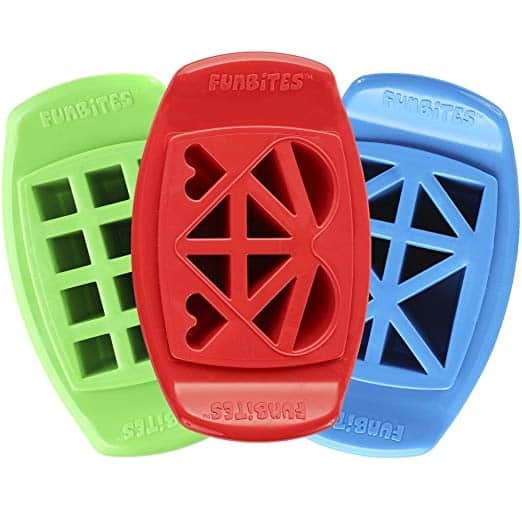 By the way, if you’re interested in making sandwiches or snacks into fun, bite-sized shapes, I cannot recommend getting this Fun Bites Food Cutter. My boys love them and they make fun shapes for all sorts of food (mostly sandwiches).